As a committed team player with graphic talent and leadership qualities I work as an UX designer at Jayway! With over 15 years of experience in digital media I have, among other things helped to improve Sweden’s largest telecommunications companies in their email marketing and digital presence on the web. I have also worked with the launch of their new profile 2011. 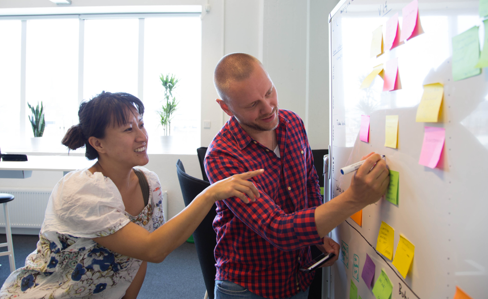 Right now i work as an UX Designer (consultant) at Sony Mobile in Lund. I have good references in print, web, campaigns, digital newsletters, event communication, banner production, mobile- and web applications. My strength lies in being able to see things from a business and development perspective. My specialties in the field of UX: Interaction Design, Graphic User Interface, Information Architecture and Business Analysis. Marketing, Visual Identity, Business analysis, Workshops, Presentations. Usability testing, Servey Creation, A/B testing, Card Sorting, interviewing, Data and Web analysis. Standards and Patterns for Web, Apple, Android, Windows. HTML(5), CSS(3). Information Architecture (AI), Interaction Design (IxD), Persona Creation, Prototyping, Scenario Design, UI Design, Wireframing, Copy Writing, Persuasive Design, Storyboarding. Layout for print, web, e-mail and mobile devices. Branding (Look and Feel). Typography, ColorTheory and Iconography. Sketch, Keynote, Adobe Creative Suite (Photoshop, Illustrator, InDesign), Balsamiq, Proto.io, InvisionApp, JIRA, Trello. 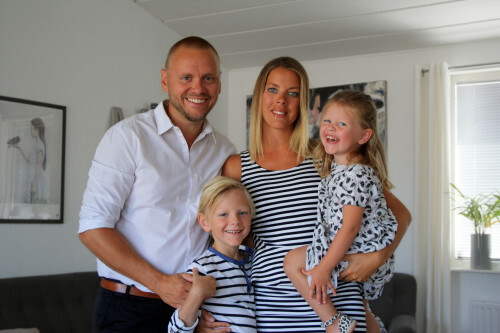 I live just outside of Malmö in Åkarp with my family, Ann and our two kids Vincent (7 years) and Julia (4 years). I moved from Vimmerby (Smaland) to Malmo 11 years ago when I met Ann. On my spare time I like to play floorball, padle and take yoga classes. Right now I’m learning about the area of Lean UX. Jeff Gothelf have some really good insights how to improve software development in his book, Lean UX – applying lean principles to improve user experience. I also like Simon Sinek, Start with why and Janne Jul Jensen.